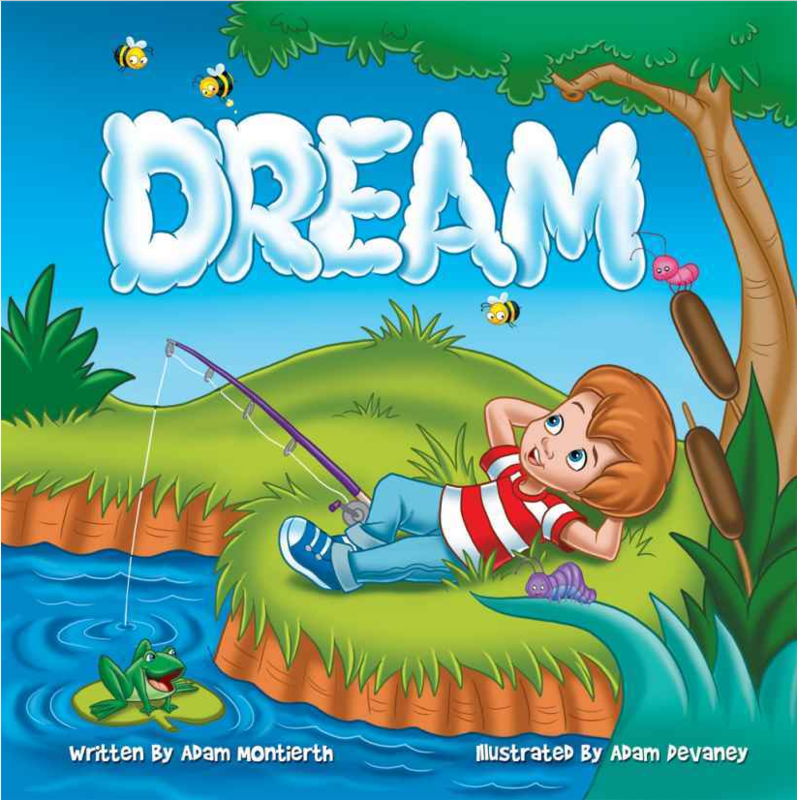 Dream by Adam Montierth is bound to become a modern classic considering the message it conveys to children of dreaming big and having the confidence that great things can and do happen. The illustrations are top notch, eye catching and descriptive. “Dream” sets out to challenge young readers to set their sights toward achieving their goals even when others say it’s impossible. Packed with real-life examples from science and history, this motivational and inspiring book encourages kids to dream the impossible dream. Parents and teachers will love this book’s message as it may provide great opportunities for discussing the idea of goals and dreams with children. Young readers may feel inspired to learn more about the animals and people discussed in the book such as the Wright Brothers or the rhinoceros beetle. Children will embrace the opportunity to discuss what they dream of and what kind of things they would like to achieve in their lives. With its brightly-colored cartoon-like illustrations and wonderful message, “Dream” is exactly the kind of book parents will love sharing with their children. A great book to teach persistence. This is an amazing book to start the school year out with. Students need to be show the purpose of learning and this book really leads you into the reasons it is important to have a dream and stick with it. I am amazed by the way the author wrote and had the words illustrated. I love to read them a story that is both fun to listen and view pictures, but also has a purpose to it. Reaching young boys with books about different character traits can be difficult and this is one of the hidden jewels to hook the boys and keep them listening. Overall this amazing book and will be an amazing read aloud for any reader. The illustrations were beautiful. I like the “can do” message and I also liked the fact that at the end of the book, was more information about things. I read it to the kids and they wanted me to read it to them again immediately after. Later we ended up looking up more information about some of the subject matter that was in the book. I recently read a children’s book that teaches children to dream big dreams. Dream, by Adam Montierth, is a delightful book that will challenge children to think outside the box and to dream impossible dreams. The book encourages kids to set out and accomplish goals even when others may say it can’t be done. This beautiful picture book is not only appealing to the eye ~ it also contains wonderful fun filled facts: from the bee to the cheetah; from man’s first attempt at flight to zooming into outer space; this one is sure to capture your child’s budding imagination. This book combines eye catching illustrations with inspiration and fun to know facts. I would recommend this book to teachers who are working to introduce their reluctant students to the world of non-fiction. It is also great for parents who want their child/children to dream big dreams. This beautiful picture book is also a fun read! This book is a great book to help transition children from a fiction book into an enjoyable nonfiction text. I enjoyed the colorful.